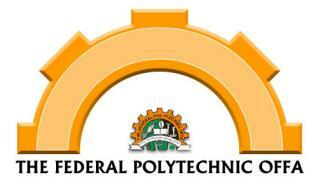 Federal Polytechnic, Offa admission acceptance fee payment procedure for the 2018/2019 academic session newly admitted ND (Full-Time and Part-Time) and HND (Full-time) Students. OffaPoly acceptance fee is N10,000. Offa Poly Acceptance Fee: N15,000 (fifteen thousand naira only) for ND (both full-time and part-time) and HND (full-time). ND Full-time: 6th November, 2018 (for first batch) and 9th November, 2018 (for second and third batch). ND Part-Time: 16th November, 2018 (for first batch) and 21st November, 2018 (for second batch).